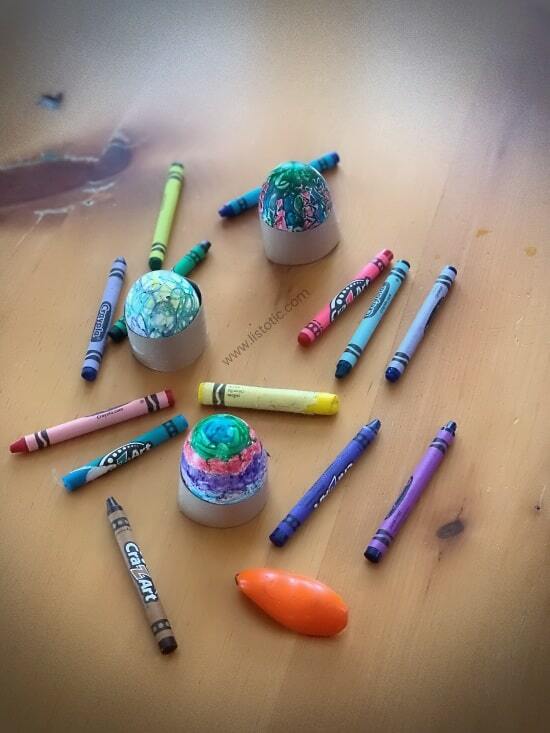 Melted crayons and sharpie markers on hard boiled eggs make fun colorful DIY Easter egg decorations. 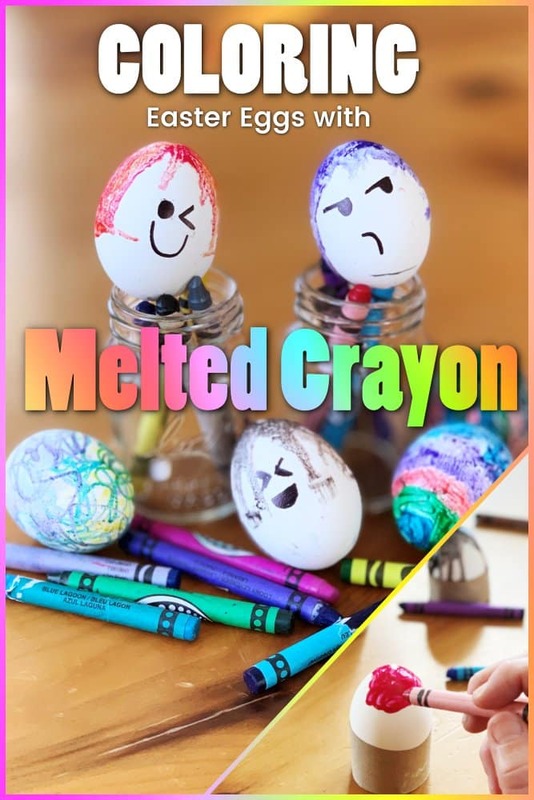 This idea for melted crayon Easter eggs came to me while transferring some hot hard boiled eggs from the instant pot to the cold water. Humm… what if I melted some colorful crayons all over these before cooling them off? Well, it works, and it is fun! 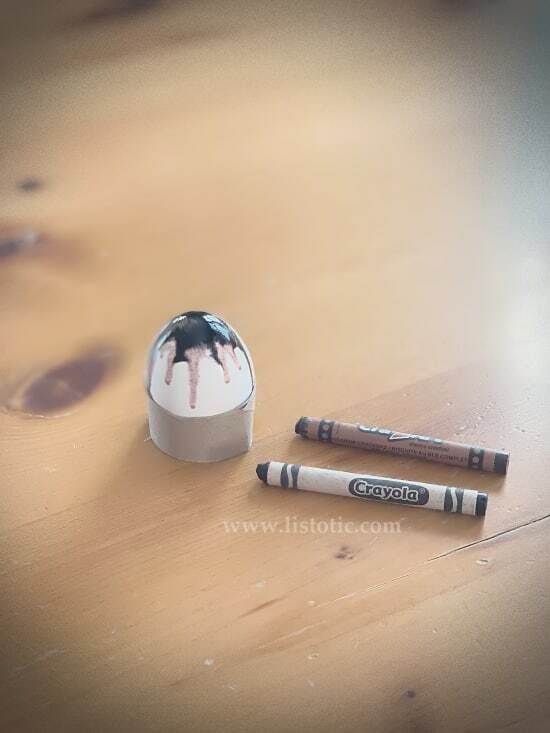 I wouldn’t recommend this with really small children, but any kids over the age of 5 who understand not to hold their hands on something hot for a long period of time can enjoy this craft. You can keep this simple by mixing melted crayons and creating designs, or you can take it one step further like I did with the addition of textured Crayola hair and silly faces. Hope you have fun with it your way. Crayons – I used a variety of brands, and they all melted but I would say Crayola crayons had the most consistent melted outcome. Overall, I liked the Crayola crayons the best for this project. 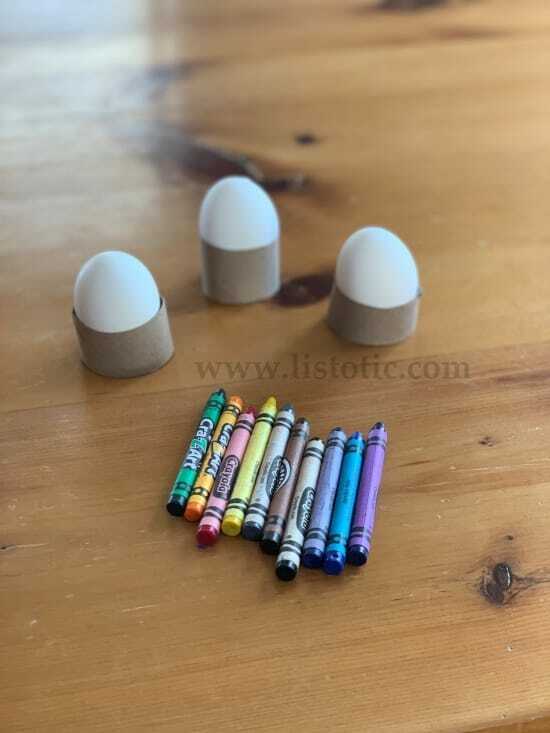 Cut out cardboard stands for the hot hard boiled eggs to rest on and get out your crayons. You will want to have your materials ready as soon as the eggs are hard boiled (and still warm). Hard boil your desired number of eggs. 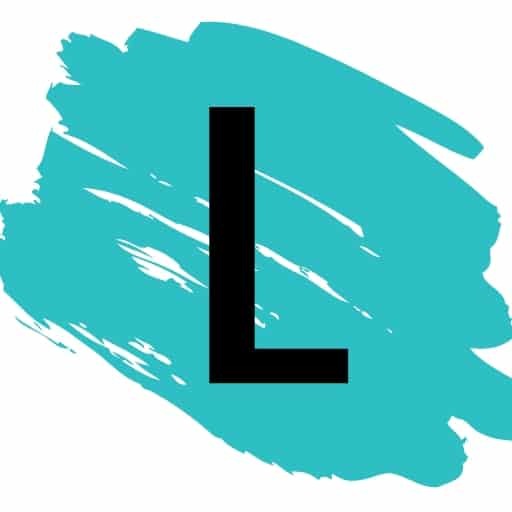 I use my instant pot – here are the directions. Using tongs, carefully place the still hot hard boiled eggs on the pre-made cardboard stands. 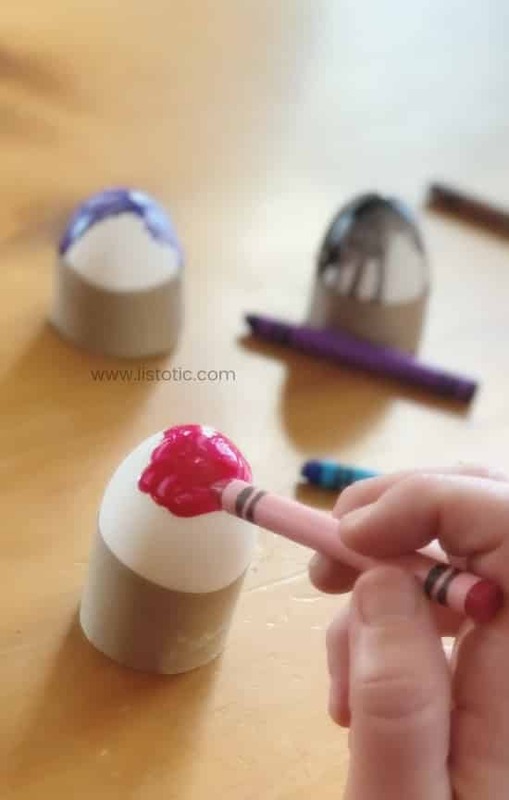 Use the crayons on the hot eggs to melt colors onto the egg shell. 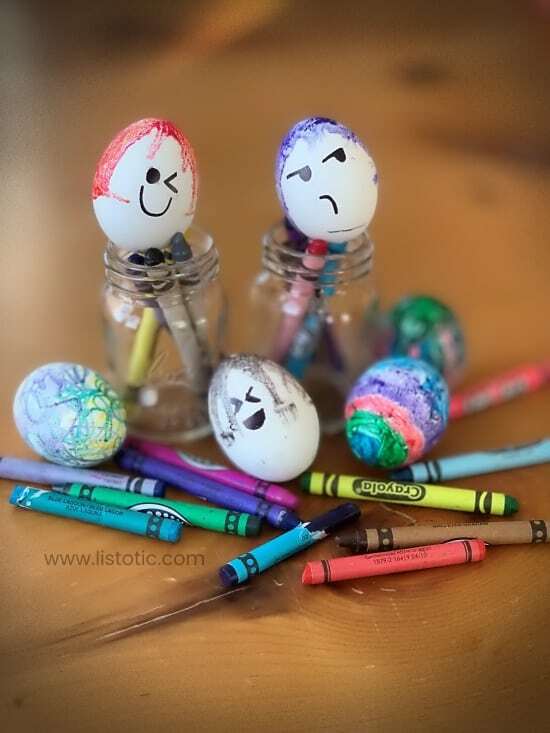 If you are interested in making funny hair and faces on your hard boiled Easter Eggs, just start at the top of hot egg with your crayon and let the color melt down the sides of crown of the egg. You may layer colors to create the appearance of texture. 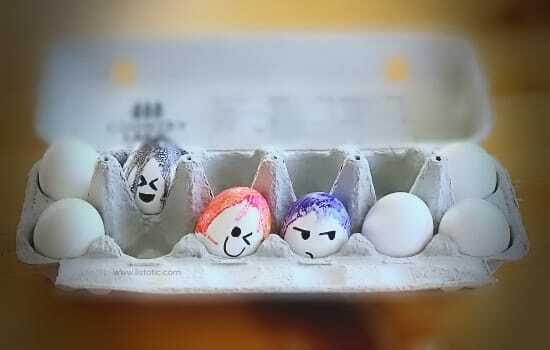 Keeping the melting color to one side will leave you a space empty for a face on your egg. 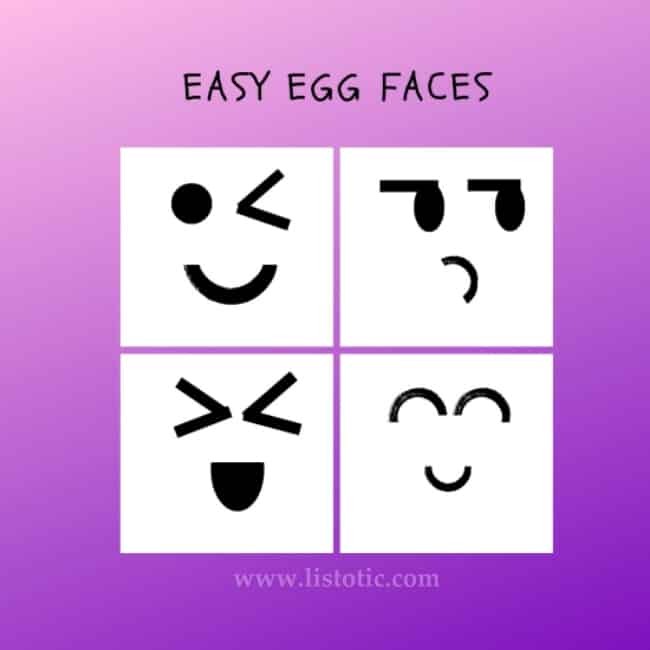 If you need some help with your egg faces, here are some easy and fun face ideas you can try. Place the eggs into an ice water bath, or place in the refrigerator to set the wax and finish cooling the hard boiled egg. Tip: If you are putting them into an ice water bath I recommend using separate containers to cool them as the wax colors will transfer from one shell to the other if they touch while they are in the water bath. 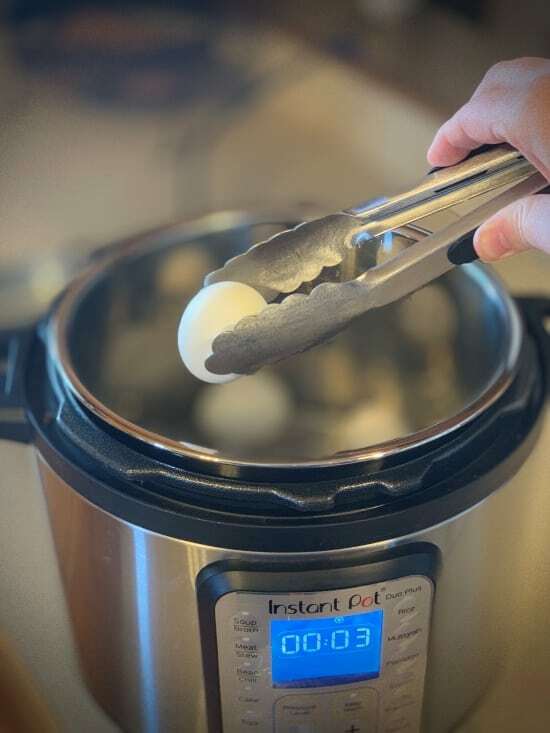 Tip: If you are worried about your hard boiled egg getting too done because you are not stopping the cooking process as quickly as you normally would, then try hard boiling your eggs for slightly less time. 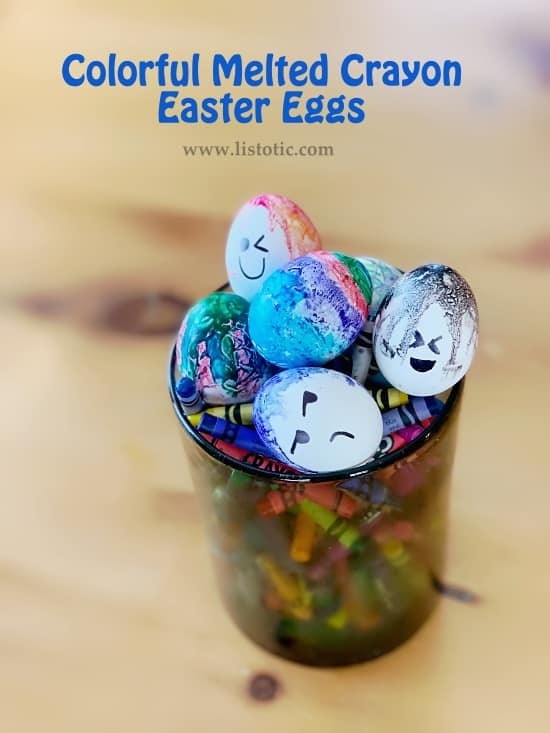 Enjoy your melted crayon Easter eggs for the Easter holiday or for a fun lunch or meal prep idea anytime! These DIY Lego® crayons are perfect for Valentine’s Day, birthday party favors and more! 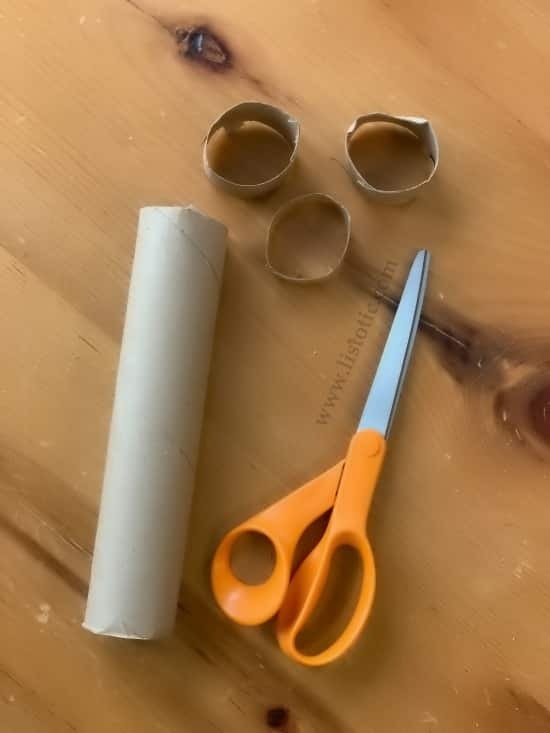 The instructions are simple and so much fun for kiddos! Spring has a way of springing up on all of us! Don’t get caught off-guard. Be prepared with this handy chart. Arranging flowers can be intimidating and frustrating! Arranging flowers is definitely an art, but with a few tips and tricks up your sleeve, you can create floral arrangements as good as the pros.